Ultra-Bright: High-powered LEDs provide excellent illumination of up to 80 lumens. This is bright enough to turn night into day and provide security for your home or business. Eco-Friendly: Our light is charged through the day by exposure to sunlight. Its Li-ion can provide 12 hours of illumination at night from just 7 hours of charging during the day. Item Package Quantity:4 Worried The Outdoor Be In The Dark At Night? And HowTo Enjoy Your Outside Swimming At Night?? 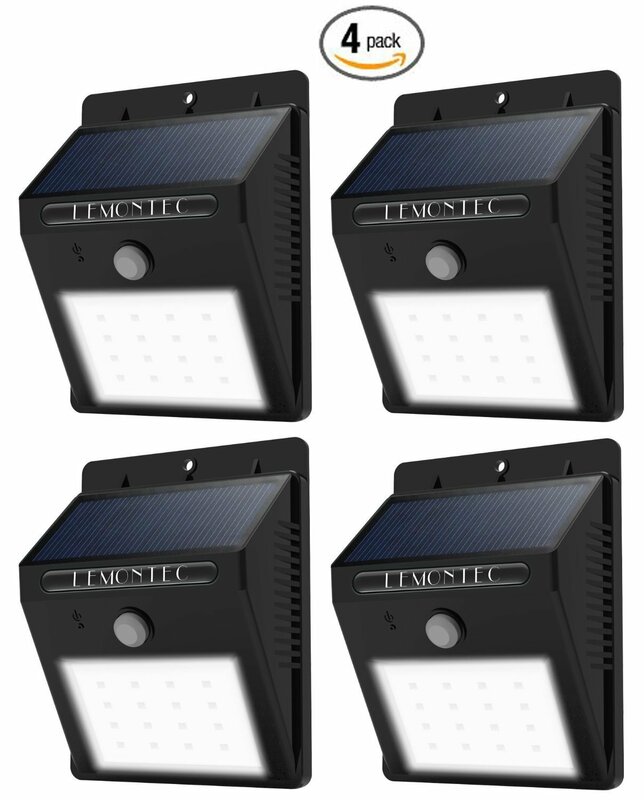 Our innovative solar-powered motionactivated light can provide your home or business with security in minutes. Itcan also be used to provide light to areas that have inadequate illuminationsuch as attics, garages of porches. Close To Life, And Enjoy It.? Its solarpanel can convert up to 17% of the sunlight it's exposed to into usableenergy. This is both environmentally friendly and convenient. There is no needfor any complicated wiring or installation. Ingenious?A built-in PIR motionsensor will activate the light at the first sign of movement. The sensor has arange of 3 m / 15 ft. to 120o. If no further movement is detected,the lightwill automatically power off after 10 seconds. Automatic?The light alsofeatures a light sensor that automatically detects when it is becoming toolight. Once the ambient light reaches a certain level, the light will enterstandby mode and start charging. As night draws in and the ambient lightdecreasing, the light will become operational again. Multi-Year Lifespan?Thelight's built-in battery is a super-efficient Li-ion battery. The battery canbe recharged again and again and has a multi-year lifespan.